You’ve probably seen the headlines and TV reports. Fracking is big news as the picturesque village of Balcombe in West Sussex becomes the latest site for test drilling in the UK. The drilling rig itself stands 78ft tall, according to the plans submitted to The Environment Agency. It also details a laboratory, canteen and a flare stack with a possible flame rising above the surrounding trees. All this for just 40 days and nights of exploratory drilling. Cuadrilla’s licence is to look for oil and gas by conventional means, but the company has said they would apply for licences to use the chemical fracturing technique if the rock 2,000ft below fails to deliver. Friends of the Earth is supporting them by providing hands-on advice to the local community. 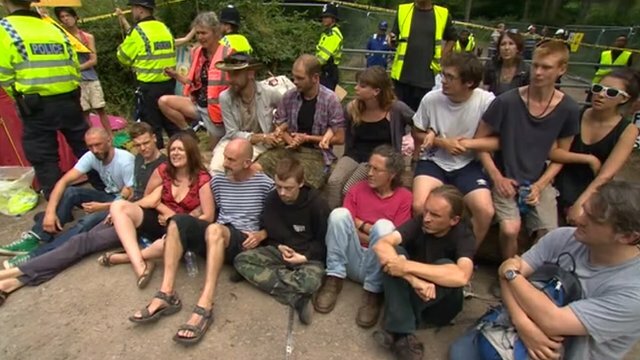 Here’s how you can support the residents of Balcombe by sending them a message of support today and Friends of the Earth will take your messages of support down to the Balcombe residents later this week.